This entry is inspired by a historical figure named Lady Eighty-Seven (or Ms. Liu) mentioned in the book Crossing the Gate: Everyday Lives of Women in Song Fujian (960-1279) by Man Xu. Normally when I take inspiration from history, I tweak the character and name to the setting, but this is a case where I want the setting to make room for the figure because she is so interesting on her own. Lady Eighty-Seven was essentially a crime boss who controlled a salt smuggling empire, perhaps even a shadow government, during the song dynasty. She achieved this by directing her son's ambitions and judicious use of her dowry (or possibly wealth inherited through her deceased husband). Her sons were part of her criminal empire and according to local officials, thoroughly wicked. Unfortunately there is very little information available about her, so I am going to have to speculate how she rose to power. I made this sect of the martial world entry around Lady Eighty-Seven. Even though I don't change her name or alter the basics, I do take plenty of liberties here for gaming purposes and to fit Lady Eighty-Seven to the genre. In real life she and her sons poisoned many people, so I think making her a Kung Fu master who uses poison would fit. In real life her name is probably a reference to her rank in the lineage. For dramatic flavor, I am going to have Lady Eighty Seven be her name because she commands 87 killers. The Eighty-Seven Killers is a criminal empire led by Lady Eighty-Seven. She and her killers murder anyone who stands in their way. But more importantly the organization forms an extensive network and shadow government of agents, corrupt officials, and lawmen. They terrorize the districts east of the canal in Fan Xu prefecture, poisoning merchants and civilians who don't fall into line. They've established a monopoly of administrative power in the area, allowing Lady Eighty-Seven to influence the results of criminal cases. They exact taxes from locals, enforce a tax on local criminals, engage in smuggling salt and silk, and imprison people in their own jails. Lady Eighty-Seven used the wealth left by her husband to invest strategically in her sons, carefully instructing them so they could maximize her influence when they got older. She purchased official titles for them (and Imperial Degrees). She also invested her money in other rising officials in the area, always careful to dig up dirt on them should she ever need to resort to blackmail. As her wealth grew, she kept these men bribed. Ideally though, these relationships she cultivated never came to that. Through such efforts she has built an extensive network of influence, even infrastructure in the districts she controls. Local officials from the Empire are either corrupt and under her influence or afraid to confront her (those who do end up poisoned). The Eighty-Seven Killers have built a shadow empire in the districts under Lady Eighty-Seven's influence. The Eighty-Seven Killers act as enforcers of the lady's will and even have their own prisons. Her sons help her wield the administrative arms of the local government because they are both district magistrates. They also bribe other local officials and have invested money in the careers of some to produce loyal allies. In short, Lady Eighty-Seven is a local hegemon who has controlled this area for 30 years. Guan Manor in An District is their headquarters, though they have many outposts throughout the region. There is a large salt storehouse behind the manor. This organization has no true belief system, except that it is their right to bend the existing administrative system to their will. The Eighty-Seven Killers are synonymous with Lady Eighty-Seven and her name is feared throughout the districts of Pa, Gan, Niao, Gui, Zhen, Tung-On and An. 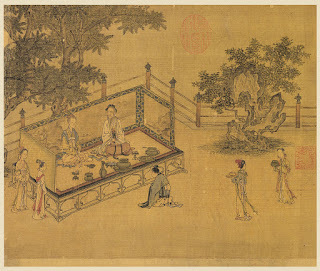 Lady Eighty Seven, or Guan Baqi Sao, is a widow with many sons who resides in Fan Xu Prefecture and has considerable influence in the districts east of the great canal. Some simply call her Ms. Liu (her old surname). She is in her 60s but still quite capable because she trains her body every day in order to meet the demands of her position. Here husband died at the hand of a more ambitious official thirty years ago. However he left her a large sum of money which she used wisely to prepare her sons so they could grow her influence and become tools of her hegemony. She purchased official titles for her sons and poisoned their rivals. 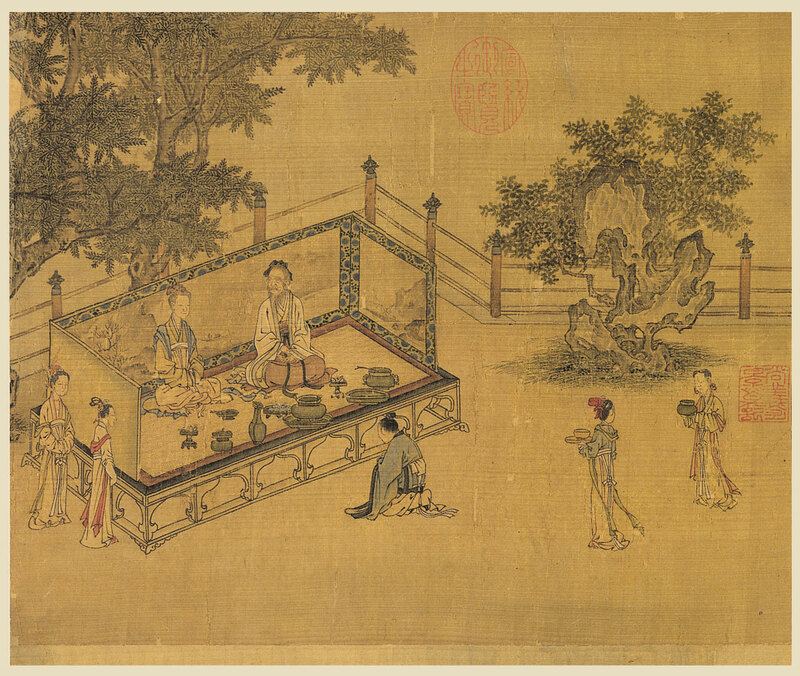 Presently she desires the lacquered box of Plum Tree Temple. Lady Eighty-Seven is arrogant from 30 years of supremacy in the area. She understands the classics well and knows the principles of Dehua. She uses both to her advantage but personally favors Yen-Li (however due to Dehua's tremendous importance among administrating officials, she is happy to pay it lip service in public). She is fiercely protective of her Eighty-Seven Killers, repaying any harm they suffer two-fold. Lady Eighty-Seven fights with a rope dart, often dipped in poison. She frequently uses her Vaulting Rope Dart Technique to launch into one of her many kicking attacks. Guan Rixin is the oldest son of Lady Eighty-Seven and the magistrate of Naio District. He is in his forties and the father of Guan Yan and Guan Duan. Guan Rixin is a dutiful son and always obeys his mother's orders. This is the second son of Lady Eighty-Seven and the magistrate of Gan District. He lacks his brother's martial talents but is well read in the classics and practices Yen-Li sorcery. He is also more cunning and creative than his brother. The grandson of Lady Eighty-Seven Guan Yan is cruel, impulsive and enjoys the powers his position affords him. He is a little crude for his grandmother's liking and far too short-sighted. He is the Sheriff of An distract and has nearly 80 constables under his command. He is the son of Guan Rixin. This is Lady Eighty-Eight's youngest grandson. He is the son of Guan Rixin and 13 years old. Still he is more ambitious and violent than Guan Yan. He is still young but his grandmother believes he will become the leader of the organization after she dies. These are the enforcers and assassins in Lady Eighty-Seven's network. They are fiercely loyal to her. She has supported each one since they were young (often recruiting people who would have perished in childhood without her assistance. Through her they have gained wealth and power. They are well treated and rewarded for their efforts. *They can use this technique with their spear, the only limit it place on them is their range is reduced by their weapon. These are the constables of An District. They are under the command of Guan Yuan and have the authority to arrest local bandits and investigate local criminal activity. However they are corrupt and largely just collect taxes for Lady Eighty-Eight, cover up the crimes of the Eighty-Seven Killers and help them detail or remove enemies. As an enemy steps in to attack, you dip your head and upper body and raise your rear leg in an arch over your shoulder to strike a foe in the head. Make a Leg Strike Roll against the Attack Roll. On a Success you evade the attack and deliver a kick for Normal Damage plus 1 Extra Wound. Cathartic: This hits with such force it imposes a -1d10/per rank of Waijia Penalty to Mental and Knowledge Skills for 1 hour. You throw your rope dart, spearing multiple targets and entangling them with the rope. Make a Light Melee skill roll against up to 3 targets in a 20 foot area. On a Success your dart goes through all 3 targets doing Normal Damage and entangles them. Their movements are hindered by the rope until it is removed (Muscle TN 6+Waijia Rank to escape). Cathartic: This can be done after you've impaled multiple targets. Roll against their Evade again. On a Success you rip out the spearing dart and do Normal Damage plus 4 Extra Wounds. You launch your rope dart into an enemy then tautly use the rope as leverage to vault into another target with a great kick. Make a Light Melee Skill roll against the Evade of 1 target in a 20 foot area. On a Success you hit and impale the target for 1 Extra Wound then vault to another and can make a Mundane kicking attack. On a Total Success you hit and Impale the Target for 2 Extra wounds. Cathartic: As above except you can use a Kung Fu technique for you kicking attack (must be a Leg Strike).